CNN MoneyStream is business news, personalized. 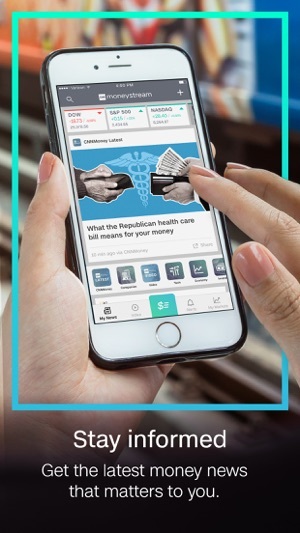 · YOUR FAVORITE BUSINESS TOPICS AT A GLANCE - Uncover trading information and the latest news from CNNMoney and other leading sources. 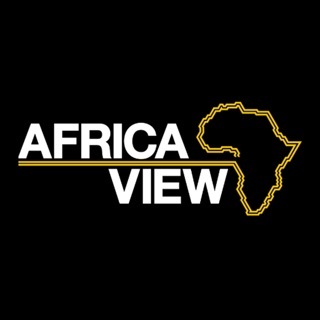 · PERSONALIZE YOUR NEWS - Follow streams to discover news about top companies, business leaders, the economy and markets. · NEVER MISS A STORY - Get real-time notifications sent directly to your phone for the biggest breaking business news. 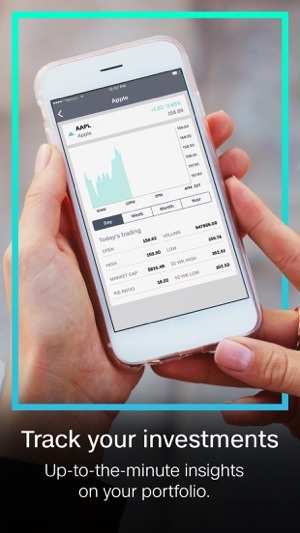 · KEEP UP WITH THE MARKETS - Find market data on more than 13,000 companies, 5,400 indexes and 30,000 ETFs and mutual funds -- always one tap away. 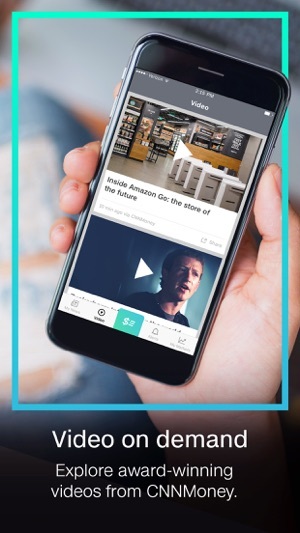 · THE BEST OF CNNMONEY - Explore award-winning videos and stories from CNNMoney, delivered right to your phone. And this is just the start. Our editorial and development teams are working hard to roll out new features. Stay tuned! We’re eager to hear what you think. Got feedback? 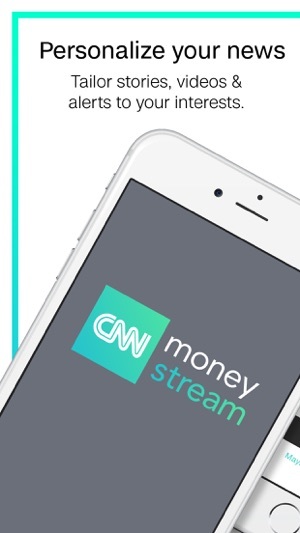 Email us at cnnmoneystreamfeedback@turner.com. 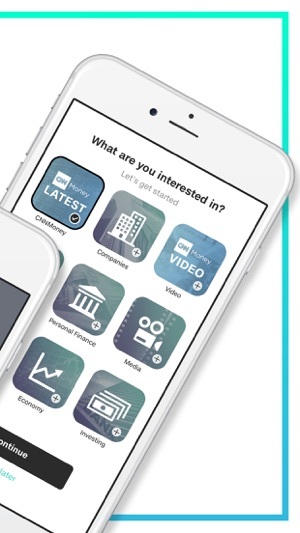 - We’ve made topic names clearer, so it’s easier than ever to follow the CNNMoney news you care about the most. - Grab your headphones. All of our videos are now just a single tap away on our new video tab. And as always, CNN MoneyStream will keep bringing you the best money/finance/business news out there. I’ve never been interested in economics, honestly, but I got this app anyways to read something for my Econ class. I have to say, CNNMoney’s MoneyStream really makes this easy-to-understand while not making it patronizingly easy or boring. Good content, too. The latest version pretty much abandoned textual presentation and focused primarily on video reports which, of course, contain ads. So goodbye to CNN money. Back to Bloomberg where I can get info without having unavoidable ads thrown in my face. My second complaint is the lack of adjustable text size. If it is there, it is not easy to find.